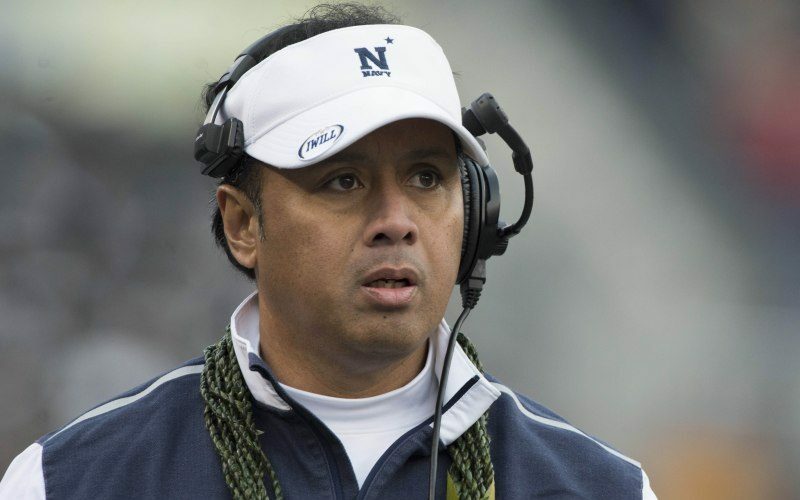 Ken Niumatalolo is the head football coach at the United States Naval Academy. Niumatalolo is originally from Laie, Hawaii. He graduated from the University of Hawaii, where he was starting quarterback and a part of the program’s first bowl team. After graduating, he was hired at Hawaii as an offensive coach, where he worked for three seasons. Ken Niumatalolo began as an assistant coach at the Naval Academy in 1995. 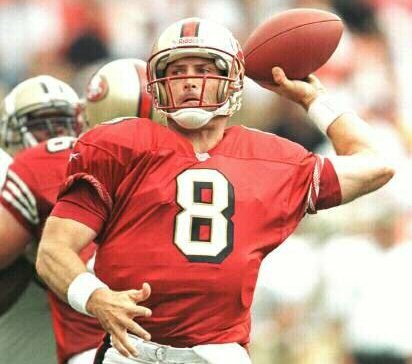 After a time there, he left to coach at UNLV for three seasons. He then returned to the Naval Academy. In December of 2007, he was promoted to head coach. Ken Niumatalolo is a two-time American Athletic Conference Coach of the Year. His accomplishments as coach have included many milestones for the Navy football program. He is the “all-time winningest” coach in school history. He led the school to their first outright division title, as well three consecutive and four overall bowl wins. In 2015, he led the team to a school record of 11 wins and just two losses. He has also led the Navy to five Commander-In-Cheif’s trophies. Niumatalolo was inducted into the Polynesian Football Hall of Fame in 2014 and is the first Samoan collegiate head coach on any level. 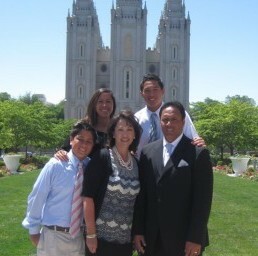 Ken Niumatalolo served a full-time mission for The Church of Jesus Christ of Latter-day Saints in the California Ventura Mission, Spanish speaking. He and his wife, Barbara, are the parents of three children. Ken Niumatalolo was one of 6 individuals profiled in the original film “Meet the Mormons.” In the movie, he discusses his experience balancing his jobs as a coach and a father. He shares some of the ways that he chooses to put his faith first, including his decision to cancel staff meetings on Sundays.